The MagLab has successfully tested the 36 tesla SCH magnet, available to users since 2017. We are the world leader in building resistive, high-temperature superconducting, hybrid and cable-in-conduit magnets. We do microanalysis, components testing and mechanical and physical properties testing. Pioneering a new superconducting tape, the lab is buidling an all-superconducting magnet that will shatter all previous records. 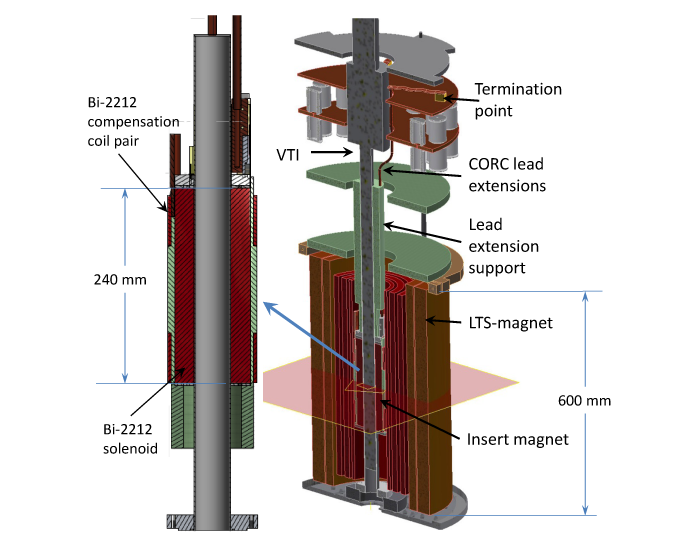 This high-field, high-homogeneity demonstration magnet using Bi-2212 round wire could be the first mammal in the age of NMR dinosaurs. 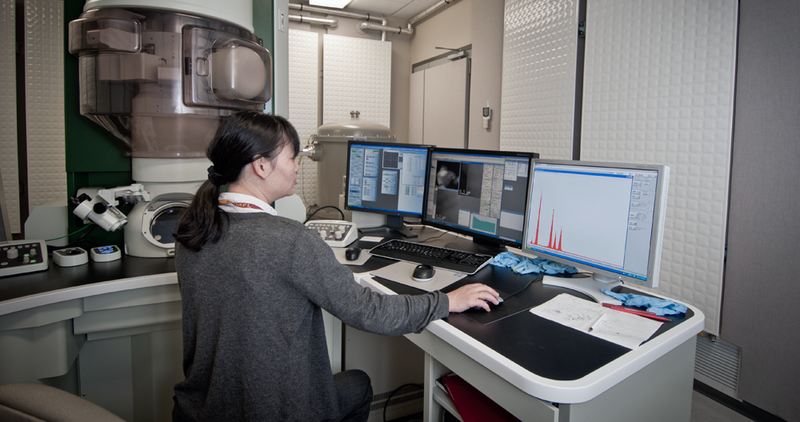 The MS&T Division is a world leader in building high-field magnet systems for scientific exploration in the biosciences, chemistry, materials science, condensed matter physics and mass spectrometry. Over the last two decades the division has developed more than 20 magnet systems and has held numerous world records, including our 45 tesla hybrid magnet and our 900 MHz NMR magnet. The division builds systems for the MagLab and works with industry to develop the technology to improve high-field magnet manufacturing capabilities. 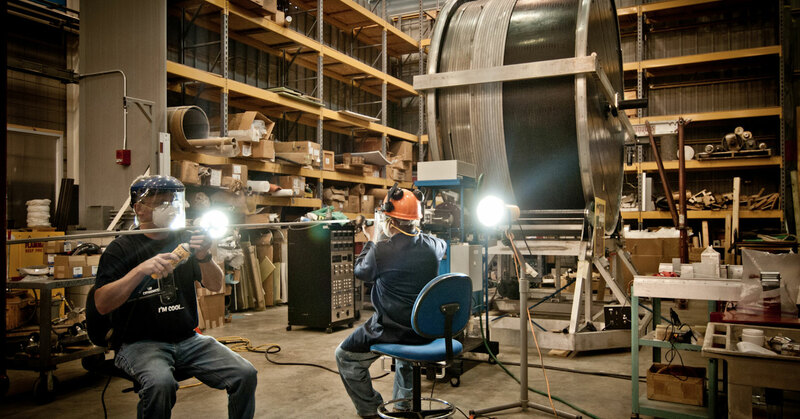 The division's highly experienced engineers push the state of the art beyond what is currently available in high field magnet systems through research and development. The division also contracts with other institutions to design one-of-a-kind magnet systems; MagLab technology has been adopted by some 20 labs worldwide. In 2014, the MagLab completed the world's strongest magnet for neutron scattering for the Helmholtz Centre Berlin (HZB). 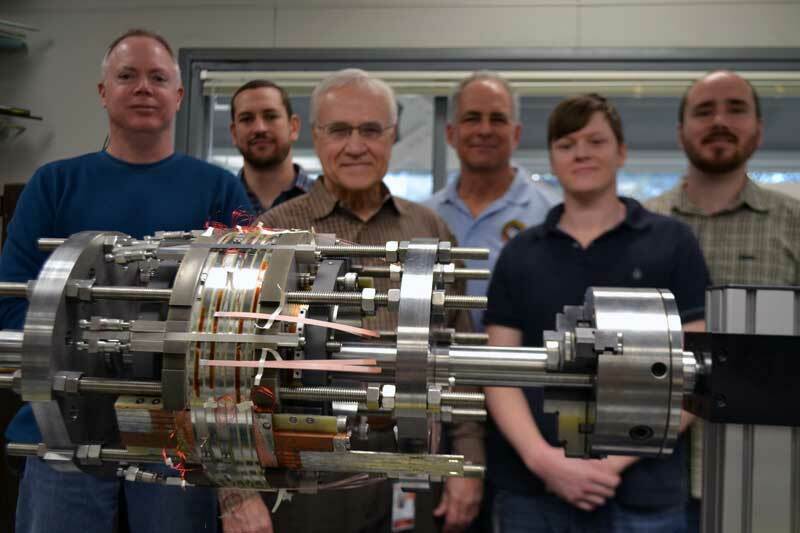 Its field is 47 percent stronger than that of the previous record-holder, and it offers twice as much scattering angle as other magnets available for neutron scattering. For more information contact Mark Bird.